Golfers Elbow (also known as Medial Epicondylitis) is characterised by inner elbow pain, which can radiate down the forearm. There is also elbow pain if the elbow is straight and the hand is moved forward and back at the wrist. Golfers Elbow tends to be caused by prolonged gripping activities and, despite the name Golfers Elbow, this common cause of elbow pain doesn't just affect golfers. Golfers Elbow treatment is usually requires a course of non-steroidal anti-inflammatory drugs (NSAIDs) prescribed by a GP and a period of rest from activities that may aggravate the injury. Ice Therapy is excellent for relieving the pain of Golfers Elbow. Once the initial elbow pain has settled, supervised strengthening exercises for Golfers Elbow can completely clear up the problem. 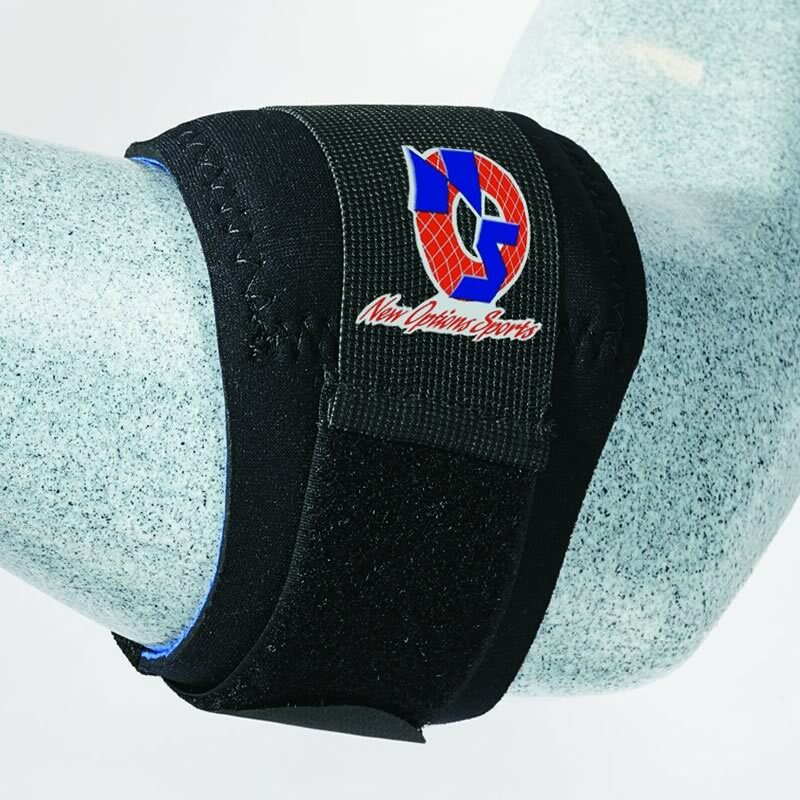 A Compression Strap (elbow support) can be very effective at reducing the stress on the painful area. Elbow pain located on the inner side of the elbow. Elbow pain that is aggravated by gripping activities.